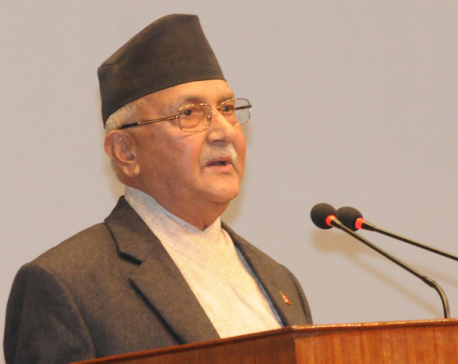 KATHMANDU, June 5: Prime Minister KP Sharma Oli on Sunday reached Grande Hospital in the capital to meet senior musician Ambar Gurung who is undergoing treatment at the hospital. PM took stock of Gurung’s health from doctors at the Intensive Care Unit (ICU). The prime minister assured the family members that the government will extend needful support. “We are ready to do all those necessary works, “he said, adding that the government will fulfill its duties in Gurung’s respect. 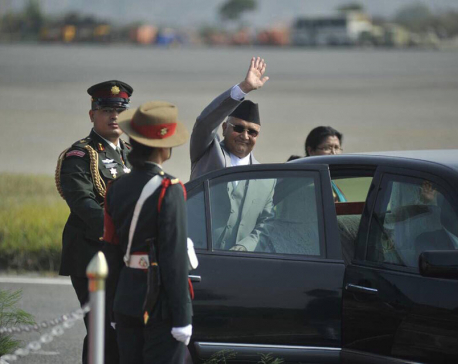 On the occasion, PM Oli regretted for not meeting Gurung while the latter was in India for treatment. Soon after the prime minister, Deputy Prime Minister and Minister for Defense, Bhim Rawal and Minister for Information and Communications, Sherdhan Rai met ailing musician Gurung. Meanwhile, doctors attending Gurung said that he is in stable condition. Gurung was also put on ventilator at 1:30 am yesterday morning. He was admitted to the hospital on Monday after complications in his food pipe. Earlier two months ago, the legendary composer including of Nepali national anthem, lyricist and singer Gurung spent more than a month in New Delhi-based Medanta Hospital after suffering from diabetes and Parkinson's disease.